Eccoci nuovo giorno nuovo outfit da raccontare :)Un po’ principessa e un po’ maschiaccio èl’immagine che ho avuto creando questo outfit. Trovo molto interessante combinare capi lontani tra loro sia per tessuto, taglio, colore e tanto altro come ad esempio una gonna in tulle contrapposta ad una felpa creando un look rock-chic dal sapore un po’ retrò. La gonna in tulle è la nuova tendenza del 2014 che sta spopolando tra le fashion addict , perché questo capo è presente tra le collezioni dei più grandi marchi di moda. Un outfit che può essere indossato in vari momenti della giornata…. poiché un ruolo fondamentale oltre al tipo di t-shirt che si indossa è la scarpa, basta sostituire uno stivaletto basso (adatto per la giornata) con un sandalo elegante o un décolleté che il gioco è fatto. Trovo molto cool e divertente questo abbinamento 🙂 vi auguro un buon inizio settimana xo !!! A little ‘princess and a little’ tomboy is the image that I had created this outfit. I find it very interesting to combine garments far between for both fabric, cut, color and much more such as a tulle skirt as opposed to a plush creating a look rock-chic taste a bit ‘retro. The tulle skirt is the new trend of 2014 which is depopulated between fashion addict, because this boss is present among the collections of the greatest fashion brands. An outfit that can be worn at various times of the day …. because a fundamental role in addition to the type of t-shirt that you are wearing the shoe, just replace a boot bottom (suitable for the day) with a sandal or a stylish neckline that’s it. I find it very cool and fun this pairing 🙂 I wish you a good week xo! Amazing! And what a cute MK bag! You look fantastic!! Fabulous way to rock a tulle skirt! Love Love Love! Un look bellissimo di cui ovviamente la gonna in tulle è il punto forte..originalissima! Nice look! I love the skirt! I am in love with those shoes! Gorgeous outfit! Love the pictures, the Skirt is adorable. Adoro l’effetto creato con i complementi Martina, le scarpe sono il dettaglio che non ti aspetti e che rende l’outfil unico. mi piace l’accostamento della gonna in tulle con la camicia a quadroni! Ma che bel look! Adoro le tue scarpe! Super chic outfit! Perfect matching. Love it a lot. Love the plaid and tulle + heels! Very well done, love the boy + girl looks, and the skirt is just divine! Very nice post!! I love tull, make me feel like a princess!! Your heels are awesome!! I love’em!! See you!! kisses!! Your shirt is lovely! Nice look! adoro le gonne in tull e questa è bellissima! U look absolutely pretty darling ! 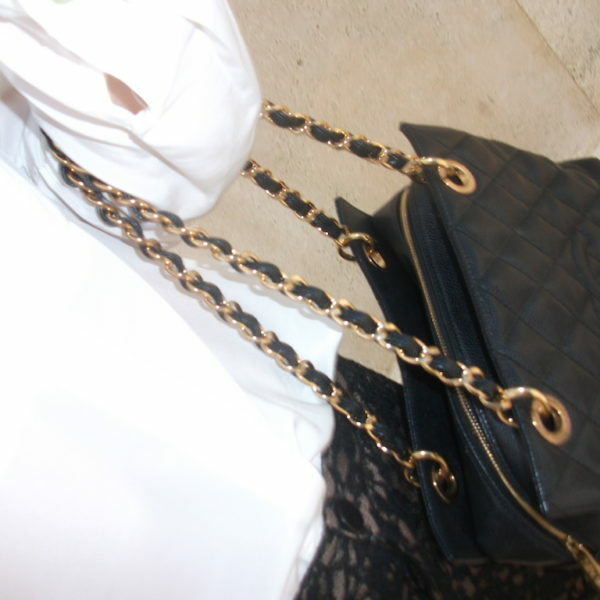 I love this bag and shoes! Love this rock chic look! !